Salvatore Ferragamo will launch Uomo Casual Life, a new fragrance for men, in June. 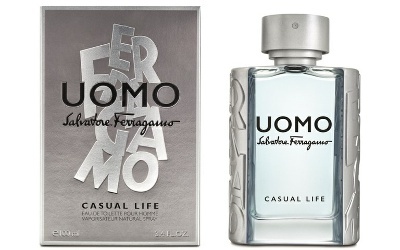 Uomo Casual Life is a flanker to last year's Uomo Salvatore Ferragamo. The notes include lemon, violet leaf, cardamom, geranium, ambrox, iced coffee, cashmere woods, cedar and musk. Salvatore Ferragamo Uomo Casual Life will be available in 30, 50 and 100 ml Eau de Toilette. I am a big fan of the pillar and will be most anxious to try this. The original was fun without being to young. Sign me up for this one. Hopefully we will be able to get in the US.